KBN: Knitpics are in! And Warm up the Spring Sale! Knitpics are in! And Warm up the Spring Sale! Spring cleaning at the shop! We are holding a 3-day sale this Friday until Sunday, for more details please follow the link. As well, we have a shipment of Knitpics in, and there are 4 Interchangeable Needle sets each of the Nickel plated and Harmony Wood. 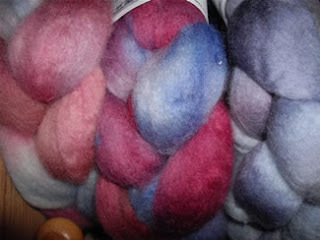 We also been busy kettle-dyeing wool, merino and blue faced leicester. It has been a lot of fun to dye up!